Once a year they made us participate in national fitness day. I had mastered the fine art of accidentally (on purpose) forgetting my gym clothes but national fitness day was mandatory. Hand me down jeans from my brother who was eleven years older than me. They almost fit because I was so heavy. The field behind John Greenleaf Whittier middle school is vast. Half way through my first I had been passed by other kids who were already on lap two. “Ok Trick… good try!” Mr Healy said, motioning for me to come back. Out of breath, sweating, the feeling of damp jeans clinging to my legs, restricting my movement. The inner “saboteur”, if you will. I am forty-four years old. Our town has a 3.5 mile loop we call “the neck”. Its a gorgeous peninsula, surrounded by the ocean and connected to the mainland by a causeway. Beautiful homes and majestic views abound. I am fortunate enough to have the neck as my track. 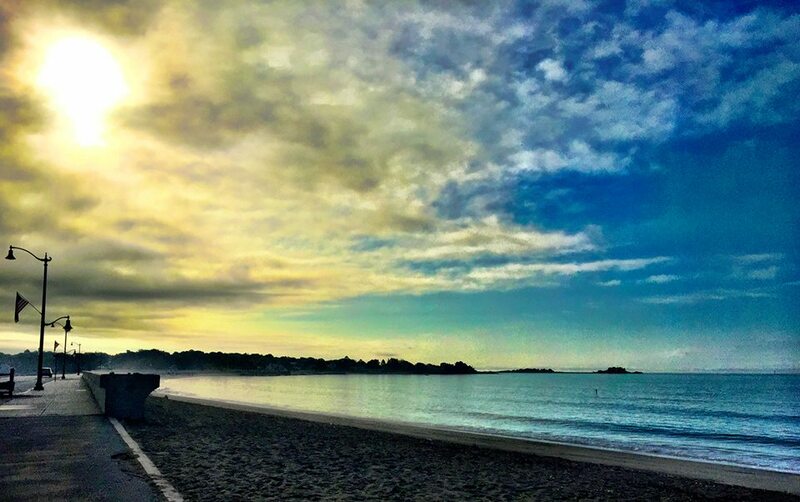 With all of its beauty, running, even in a place like Marblehead is still a struggle. The saboteur is still telling him he can’t. The good news is that the ever-present twelve year old Jim Trick has gotten wiseto him, thus allowing the forty-four year old Jim Trick to do battle. For years I pretended that the smoke of those inner, distant battles were crazy and to be ignored. For years I tried to pretend like that bullied, awkward, embarrassed twelve year old never existed. That little boy is no longer banished. He now has an advocate. Someone to say yes you can, and I know you will. Are you still telling yourself you should be over this stuff by now? Are you still living under the false belief that there is a statute of limitations on your story? This post is not for those of you who live in the past and have chosen to spend your life wallowing in it. This post is an invitation to those of you who long for a deeper, richer, truer experience from today forward. Heartache is the breeding ground of compassion and a million other beautiful thingsif you are willing to cultivate it. Heartache is the breeding ground of bitterness and every terrible thing your saboteur wants you to believe if you won’t.